Sir James Dyson’s decision to move to Singapore may have been greeted with scorn by some but there could be advantages for the UK if more companies followed his Asian growth strategy. The better Dyson’s business does in Asia – the more likely more tax will be paid in the UK by Sir James and his shareholders on the dividends they receive from the profits the company makes in this fast growing region. Post-Brexit no matter what happens, focusing on a growing part of the world makes financial sense and should ultimately be a win for the UK. Dyson saw profits jump by a third in 2018, posting just over a billion pounds last year. By some estimates as much as 70% was powered by Asian growth. The focus on Asia makes sense, analysts say, given that the firm’s future customers – who will buy its bagless vacuum cleaners and powerful hair dryers – are in Indonesia, India and China, rather than in the UK. According to the OECD, half of the world’s middle and upper class will be Asian by 2019. By 2030, two thirds of all middle class spending power will be concentrated in Asia. “The decision to expand Dyson’s footprint in Asia is sensible, given Dyson’s customer strength and growth opportunities in Asia”, said Gordon Lawson, Partner and Head of UK desk, KPMG Singapore. 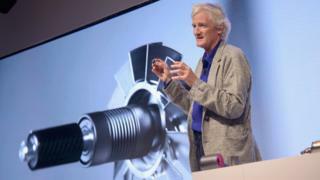 Shifting its corporate headquarters here also means some of Dyson’s top executives will move to Singapore – a sensible strategic decision according to Mr Lawson who says being based in the same time zone as the bulk of their customers will help Dyson to remain competitive in an extremely tough market. Still Sir James has been criticised for moving the firm’s corporate headquarters to Singapore, which some see as a way to minimise his UK tax bill. Mr Lawson says that’s not strictly correct. Dyson is owned by Sir James and his family. Dyson has also said the tax reasons were not behind the move, given the difference in the countries corporate tax rates are negligible. The UK cut its corporation tax to 19% in April 2017, and is set to reduce it to 17% in 2020. Singapore has a current corporate tax rate of 17%, but the government does dole out numerous tax benefits, including tax deductions for companies investing in research and development. Analysts say that with Dyson’s increased investment in Asia, there will be a corresponding requirement for more jobs here – as the firm will need British expertise in research and development. Dyson’s move to Singapore should encourage other British companies to do the same instead of always betting only on the EU and US for growth, says Dario Acconci, managing director of Hawksford South East Asia. The firm helps UK businesses set up in overseas markets, and in recent months has seen a flurry of enquiries for companies looking to expand in Asia and mitigate the political instability in the UK caused by uncertainty surrounding Brexit. The move by Sir James may be seen by some as a Brexiteer jumping ship, but for UK companies to thrive in the future focusing on growth in Asia is the right plan, whatever the reason.